Individual debtors or small business owners commonly file chapter 7 bankruptcy. Shortly after the debtor files a petition for Chapter 7, a bankruptcy trustee is assigned to the case. The debtor turns over all his nonexempt assets to the trustee who then liquidates those assets to pay off as many of the debtor's creditors as possible. Any debts that remain unpaid after the liquidation process is complete are discharged, extinguishing the debtor's liability for them. 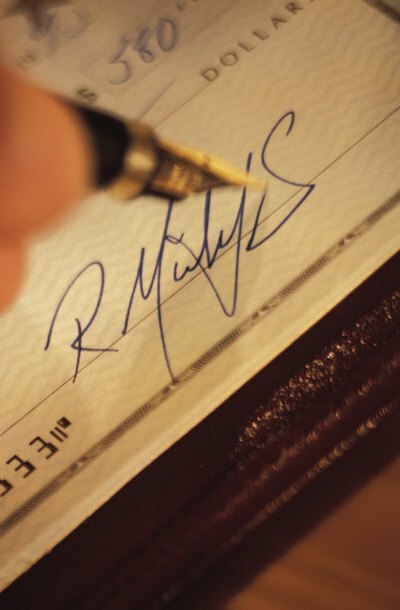 On occasion, debtors write checks that later bounce, or are returned unpaid. A debtor may include debts resulting from a bad check in the liabilities that are discharged in a Chapter 7 bankruptcy. But the creditor to whom he wrote the check can ask the bankruptcy court to exempt the bad check debt from the discharge. This means the debtor will still be on the hook for the debt even after he receives his bankruptcy discharge. Generally, the court will approve the creditor's request only if the creditor can prove the debtor intentionally wrote the bad check, for example, by writing a check on a closed account.